Staff involved in higher education share a common motivation to do the best for their students, to demonstrate passion for their discipline or profession, and to challenge themselves in becoming more effective, critical, enquiring and reflective learners. The Higher Education Academy (HEA) is committed to the professional development and lifelong learning of staff involved in HE teaching and offers a range of opportunities to support you in: transforming your organisational learning and teaching provision fulfilling your potential as a learning and teaching professional creating a world-class student academic experience. Our aim is to focus on teaching quality and support you in your career and your work in teaching your students. 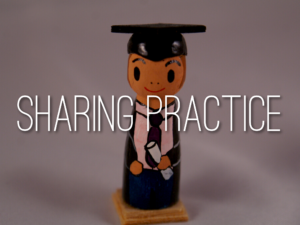 To do this, we promote and facilitate discipline-focused communities of practice and provide discipline focused professional development courses and events to share and learn from best practice and ideas. We offer open courses and tailored professional development and consultancy. The HEA has developed frameworks and tools to help you address some of the current pressing issues for students such as employability, assessment and feedback, and attainment, to name but three. We also have a substantial knowledge hub of evidence-based resources to support you in your work. If you’re based outside the UK, find out more about our international work here. Possibly the most significant way we can support you throughout your career development is through Fellowship of the HEA. Fellowship is aligned to the UK Professional Standards Framework (UKPSF). If you are not familiar with the UKPSF, it is a nationally-recognised framework of guidelines and by applying its principles to your personal development planning, you can earn recognition for your work and proof of good practice. 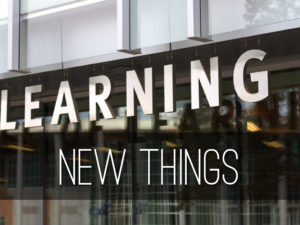 Our social sciences resources and activities explore key teaching and learning issues through a disciplinary lens and are designed to support and connect social scientists looking to share good practice. HEA’s social science cluster is deliberately broad allowing knowledge sharing between subject areas but we also ensure each discipline has a range of focused resources to draw on. Events range from an annual Social Sciences teaching and learning conference to a Dean’s Summit and network; we have a series of Fellow led workshops in the social sciences and we’ve introduced a new resources – including pedagogic research, toolkits and case studies supporting innovation and quality in disciplinary teaching. Plus we offer up-to-date research on higher education pedagogy; a monthly webinar series and a regular Twitter chat (see #HEAchat). Our goal is to provide CPD and networking opportunities which inspire and support those involved in learning and teaching across a wide range of subjects, roles and experience. If you are looking for resources concerned with teaching particular subjects, for example, teaching sociology, then you can visit our Knowledge Hub and access research, insight and teaching resources in your subject area. 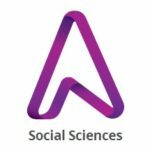 You can follow us on Twitter @HEA_SocSci or contact the team by email: Social.Science@HEAcademy.ac.uk .